Setup Creator Utility generates self extracting exe file which helps in deploying windows application over internet or other media. 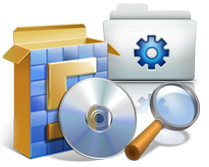 Software generates small and compact size setup package (exe files) which takes less memory space, less turnaround time to install. MSI to EXE Creator Program generates EXE (Executable File) from your Existing Microsoft .MSI (Windows Installer) files. 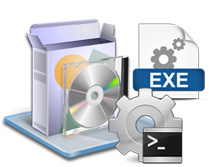 Software converts executable (.exe) setup files by using the original Microsoft installer (.MSI) files format without altering the basic functionality and structure of your application. Highly meticulous EXE Builder Utility equipped with well balanced features. Facilitates user (Programmer, Developer, Coder etc) to let them build their project using all major languages or any platform. Assures highly optimized code size thus contributing faster setup download over internet.